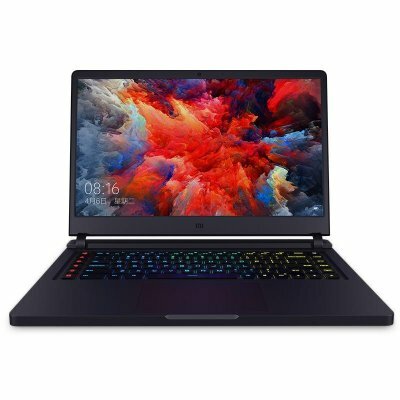 Successfully Added Xiaomi Gaming Laptop - Intel CPU, 8GB DDR4 RAM, Full-HD 1080p Display, 15.6-Inch, LED Back Lit Gamer Keyboard, NVIDIA GPU to your Shopping Cart. Play your favorite games anywhere you go with the XiaomiMi Gaming laptop. This powerful game laptop packs all the latest hardware that lest you enjoy your games and movies on the go. This latest Windows gaming laptop from China packs a whopping Intel Core processor that has been clocked at 3.5GHz. Additionally, it comes with a stunning 8GB of DDR4 RAM. With this hardware at your side you’ll be able to tackle the most demanding games without ever losing a frame. The laptop treats you to 128GB internal storage and 1TB external memory support. Therefore, you never have to worry about running out of space to keep your files when using this laptop PC. The Xiaomi gaming laptop comes with an unlicensed version of Windows 10 Home which is guaranteed to treat you to a smooth user experience. On its 15.6-Inch display, you can enjoy the latest films, series, and video games in breathtaking 1080p Full-HD resolution. Thanks to this, you can always undergo a cinematic experience no matter where you’re at. By packing an NVIDIA Geoforce graphics unit, even the most graphically demanding games won’t be a problem for this Windows laptop. The laptop itself is light in weight and comes with a built-in mic, two 3W speakers, and a programmable back lit gaming keyboard. With its powerful battery, this Xiaomi laptop treats you to 5 hours of continuous playing time. Whether you wish to watch a movie, play games, or do some work - this powerful Windows laptop is sure to meet your demands. The Xiaomi gaming laptop comes with a 12 months warranty, brought to you by the leader in electronic devices as well as wholesale Windows laptops..